Just returned from a 2 week trip to New Zealand (South of South Island). Unfortunately, weather wasn’t perfect, so we’ve managed to complete less then half of our travel plans… but I’m not complaining at all – it is a great place with absolutely amazing nature. Will begin photo processing and posting next week. P.S. 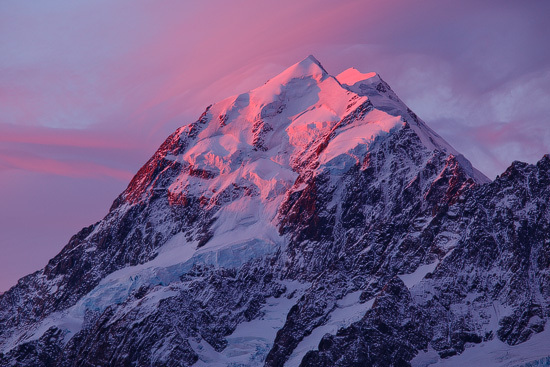 Photo above: Mount Cook (3754 m), also known as Aoraki.